You may know them as “shrooms”, “Magic mushrooms”, psilocybic mushrooms, or you may not know them at all. 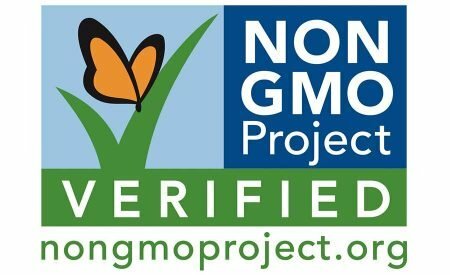 They are a natural plant that, like marijuana, is banned by the U.S. Government. But like marijuana, these mushrooms may not be without medical properties. Like marijuana, they could deserve a place on natural medicine shelves for their ability to treat depression, eradicate mental illness, and improve cognition – not in police evidence rooms. According to research from the University of South Florida, psilocybin, the active component within psychedelic mushrooms, is able to grow new brain cells—potentially offering treatment for mental illness and improving cognition. Lead researcher, Dr. Juan R. Sanchez-Ramos, tested the effects of psilocybin by training mice to fear an electric shock when they heard a noise associated with the shock. Then, by giving them psilocybin, the mice were able to stop reacting to the noise-trigger much faster than those mice not treated with the mushroom compound. Other research also shows that this same compound could greatly help with depression, helping the majority of participants in one study achieve great well-being. Psilocybin is referred to as a “nootropic” agent, or one that has numerous functions in the brain that can improve hippocampus health. The hippocampus is part of the brain responsible for learning as well as converting short-term memory to long-term memory. 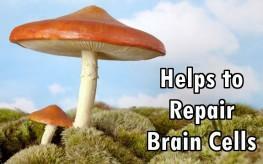 New brain cells in the hippocampus from the psilocybin translates into a healthier and sharper brain overall. 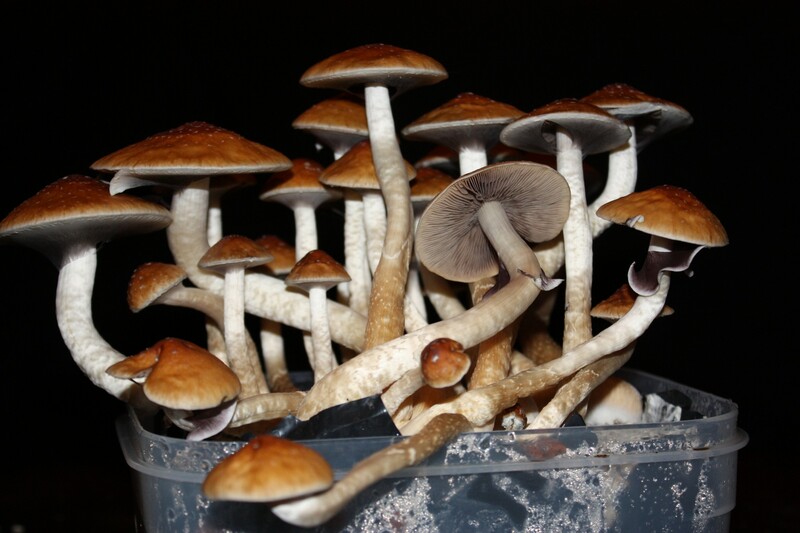 The research on psychedelic mushrooms is limited—far more limited than the research on marijuana. Because these mushrooms are known for causing hallucinations, unguarded self-treatment isn’t recommended. However, this plant, like marijuana, does not deserve a place in the Schedule I classification of illegal substances. Like marijuana, the U.S. government has determined ‘shrooms as having no medicinal value’—an obviously-flawed determination. It’s the world’s most rare and expensive medicinal mushroom – Ophiocordyceps sinensis is a fungus that parasitizes larvae of ghost moths and produces a fruiting body valued as a herbal remedy. The fungus germinates in the living larva, kills and mummifies it, and then the stalk-like fruiting body emerges from the corpse. It is known in English colloquially as caterpillar fungus. It is used as a reputed curative to many diseases, anti- aging, hypoglycemic, aphrodisiac and also treatment against cancer. Ophiocordyceps sinensis serves against kidney and lung problems and stimulates the immune system; it is used for treatment of fatigue, night sweating, respiratory disease, hyperglycemia, hyperlipidemia, asthenia after severe illness, arrhythmias and other heart diseases and liver disease. In rural Tibet, yartsa gunbu has become the most important source of cash income. The fungi contributed 40% of the annual cash income to local households and 8.5% to the GDP in 2004. Prices have increased continuously, especially since the late 1990s. In 2008, one kilogram traded for US$3,000 (lowest quality) to over US$18,000 (best quality, largest larvae). The annual production on the Tibetan Plateau was estimated in 2009 at 80–175 tons. 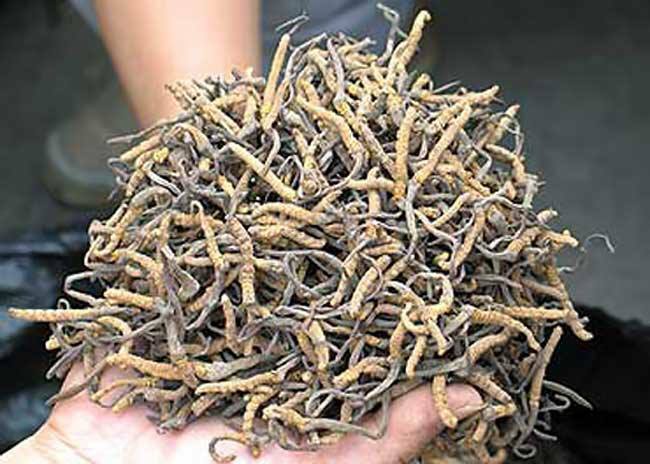 The Himalayan Ophiocordyceps production might not exceed a few tons. It’s surprisingly simple to find your soil’s composition and see whether it’s missing any ingredients. Soil scientists John Parsen tells us how. To make their fertilizing plans for the season, many home gardeners turn to store-bought soil-testing kits, which can help them determine whether to add chemicals such as nitrogen, phosphorus, and potash. While these tests are helpful for large-scale farmers, soil scientists say they’re often unnecessary for backyard gardeners. For example, nitrogen levels can fluctuate daily, requiring retesting throughout the growing season to gain information you can act on. University of Wisconsin, Madison, soil scientist John Parsen says the most common problems can be identified with very low-tech methods. “Many kits assume there’s a problem with the soil, and come from a perspective of, how do I fix it?” Parsen says. “In fact, most home soil is probably okay and needs only minor improvements to complement what you already have.” Parsen’s advice? Simply get your hands dirty. Moisten a handful of soil to puttylike consistency. Gently squeeze it between your fingers, creating a “­ribbon” of dirt. If the soil is too gritty to hold a shape, it’s ­sandy. If the ­ribbon breaks after reaching a length of 1 to 2 inches, your soil is loamy, or evenly proportioned with sand, silt, and clay. That’s ­perfect for most ­garden plants. If the ­ribbon reaches 2.5 inches or longer, it’s clayey. Parsen says that adding compost to sandy or clayey soil will create a healthier loam over time. In the potential planting area, dig a 1 x 1 x 1—foot hole and put the soil on a tarp. Sift through and count the earthworms. A dozen indicates ­flourishing life underground. If ­numbers are lacking, add organic material to boost the subterranean environment. Parsen says a shortage may also indicate chemical pollutants. Concerned urban growers can take soil samples with an auger (right) and send them to their local university extension office for comprehensive testing. Fill your worm-count hole with water. If it takes longer than an hour to drain, the area could have a drainage problem–you may want to plant elsewhere. The Himalayan kingdom of Bhutan is known for a high level of citizen happiness, but it is doing something even more noteworthy in the near future. With Prime Minister Jigmi Thinley making a major announcement regarding the organic farming project at the Rio+20 Conference on Sustainable Development which took place last month, the move has made national headlines. It’s called the National Organic Policy, and it is fueled by the simple concept that working ‘in harmony with nature’ will yield the most powerful results — all without sacrificing human health or the environment. Bhutan’s land currently supplys most corn, rice, fruits, and some vegetables, and it is perfectly positioned to begin developing 100% organic farming. In addition to containing a population that is mostly farmers, it also has extremely rich lands that are truly beyond what many consider organic. Some lands in Bhutan have not even been touched with harsh chemicals of any kind, and traditional techniques are utilized to produce high yields without Monsanto dipping into the pockets of family farmers. 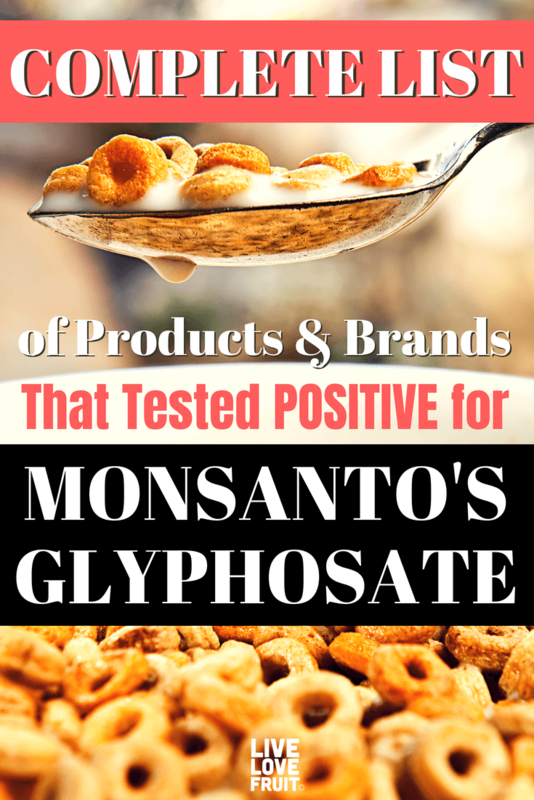 This is in sharp contrast to India’s farming community, which has been shafted by Monsanto and subsequently nicknamed the ‘suicide belt‘ due to the rampant suicides that can be blamed in part by Monsanto-induced financial ruin. 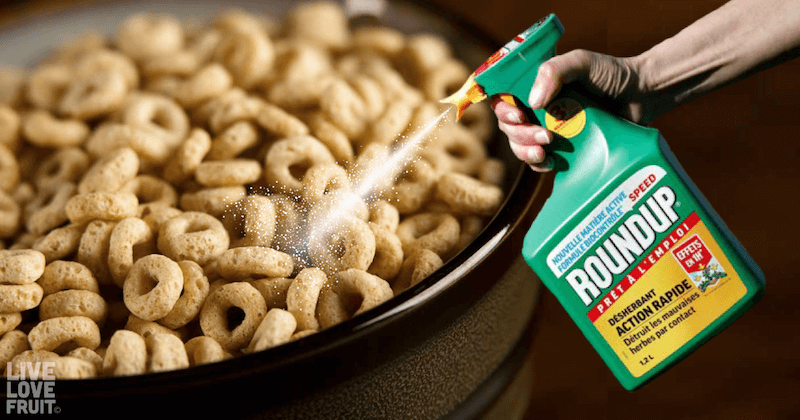 The shift is certainly inspiring, but it also reminds us about the true lunacy of designating foods as ‘organic’ and ‘traditional’ in modern society. These Bhutan farmers are not growing magic beans or enchanted corn, they are growing real food. Actual food as it was grown for thousands of years. It’s only now, with the advent of ways in which we can toxify our crops, do we value organic as if it were some privilege or act of class. When it comes down to it, we just want real food.